Bayern Munich’s clumsy attempts to extricate Callum Hudson-Odoi from the increasingly volatile mess that is Maurizio Sarri’s Chelsea this winter have livened up an otherwise rather uneventful transfer window in Germany. The saga was interesting — for Bayern supporters, at least — because it touched upon a number of important issues all once. First of all, it saw sporting director Hasan Salihamidzic’s trying, and failing, to make a name for himself as a shrewd operator who brings in the kind of left-field signing that rivals Borussia Dortmund are always being praised for. It was fairly obvious who the Bayern hierarchy blamed for the deal falling through when executive chairman Karl-Heinz Rummenigge let slip that Salihamidzic had “fallen in love with the player” on Thursday afternoon. 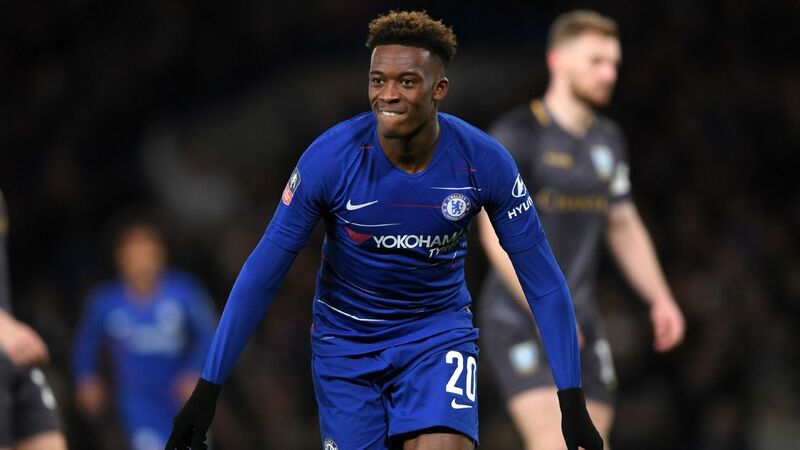 Hudson-Odoi’s non-transfer also kept the nascent debate about German problems in youth development and the trend towards importing young Brits going. But the most captivating aspect of the story, from a purely Bavarian perspective, is the light it cast on the club’s ideas for restructuring the squad. Their effort to add a second teen winger alongside new signing Alphonso Davies to supplement Serge Gnabry and Kingsley Coman — the designated successors to Arjen Robben and Franck Ribery on the flanks — can be taken as a tacit admission: any ready-made replacements of a similar calibre to the two departing wing men who put Bayern on a higher plane this decade are out of the club’s reach. Instead their vision — if you can actually call it that — is to hope that two of the novel quartet will emerge as the kind of top-class wide forwards without which a club of Bayern’s stature and ambition cannot succeed. Another, perhaps even more far-reaching decision will have to be made about the future of the team’s core, even if it’s a bit harder to see right now. In Thiago, Javier Martinez, Corentin Tolisso, Leon Goretzka, Joshua Kimmich, Renato Sanches and James Rodriguez, the German champions have so many central players at their disposal, to be sure, that the need for a summer transition doesn’t look pressing at all. This army of midfielders is a left-over from the Pep Guardiola era. But the side’s total commitment to dominating the middle of the park and the ball has long left Munich, along with the Catalan coach. Defensive bulwark Martinez, so crucial for the 2013 treble, is no longer quite the player he was and will most likely leave. Renato Sanches, too, is probably on his way out. But the main question isn’t so much who, but what, will come next. Will Niko Kovac’s Bayern re-connect with their not-so recent past under Louis van Gaal, Jupp Heynckes and Guardiola and once more build their game on the structural dominance of positions, space and the ball? Or will they go back much further in time, all the way to the present day situation, where self-contained moments of skill and endeavour take precedence over a recognisable pattern. It’s telling that Goretzka, a box-to-box specialist with a fine knack for scoring goals, has become Kovac’s key man in the centre. If it’s indeed this type of situational dominance you want, a more reactive but vertical style not too dissimilar to World Cup winners France (whose tactics were widely hailed in Germany), it would seem that Thiago’s days in Munich are numbered. The Spaniard is the last remaining deep playmaker after the departures of Toni Kroos, Bastian Schweinsteiger, Philipp Lahm and Xabi Alonso. Some in the club worry whether the outrageously gifted but sometimes over-confident 27-year-old has the temperament and leadership qualities to become the authoritative figure that Bayern’s game so badly needs. But those doubts also reflect a bit of a cultural blindspot on behalf of the club’s bosses: players have for so long been judged on producing decisive moments in a red shirt that the more discreet provision of order, balance and rhythm tends to get overlooked, sadly. If Thiago were to leave in the summer, as well as the want-away James Rodriguez, there’ll be a huge creative void at the centre. Bayer 04 Leverkusen’s teen prodigy Kai Havertz, one suspects, will be able to fill it, eventually. The 19-year-old’s move down south depends on Leverkusen’s willingness to sell this summer, however. And even if it were to happen, he would probably start in a more advanced, less arduous role to begin with. The lack of control that has characterised Kovac’s reign would probably continue, regardless. The Croatian manager has shown himself either unwilling or unable to impose a fully coherent passing game. As much as the traditionally-minded president Uli Hoeness might share Kovac’s preference for a muscular approach, its limitations could soon become apparent in the Champions League again, just as they had done in the eight lost years after Bayern’s 2001 triumph. Their game, based on individuals, ironically didn’t quite have enough individual class to overcome the superpowers then, it was only after van Gaal introduced a strong set of ideas and principles that they made the step up to become true and regular contenders. As long as their current attempts to ring in the team’s transition ahead of next season are devoid of a concise idea for a new collective identity, history is in danger of repeating itself at Allianz Arena.